I cannot believe that in less than a week, I will have reached the two month milestone of starting Eating Out Without. I guess it goes to show that time really does fly when you're having (gluten and dairy free) fun! Although the blog is mainly geared to restaurant and product reviews, it's also a forum for musings and thoughts on being gluten-free and the gluten-free community at large. In these first two months, I've learned a lot, and that's definitely an understatement. I'm constantly thinking about where I want to go and all the possibilities of the future, but also aware that building a blog takes time, patience, and dedication. Feeling reflective, I've decided to delve into things I've learned in these past two months and maybe a give a hopeful look at where I want to go. Yes, you read my title correctly- the restaurant I'm about to review is really called "That Deli." As confusing as it may sound for a name, it's one that's hard to forget, which is probably a good thing. 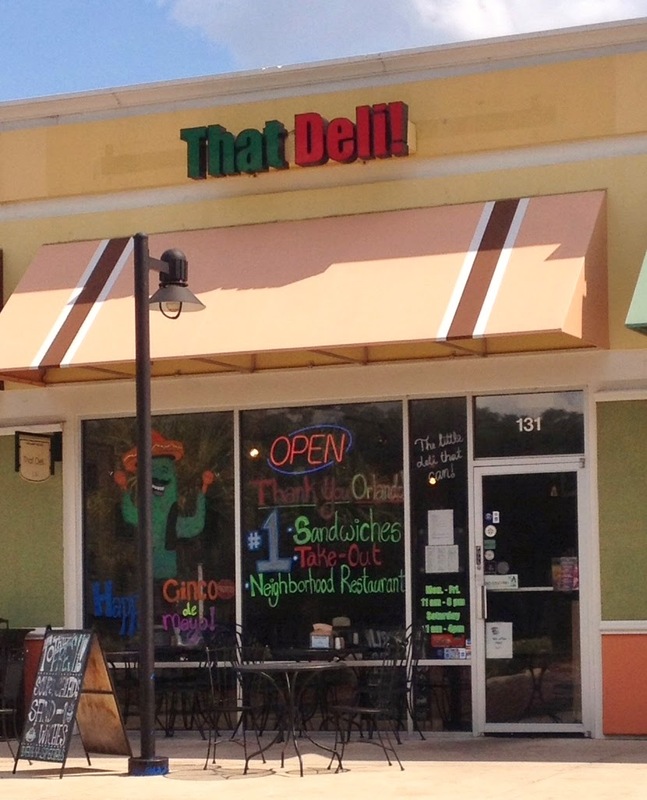 That Deli tops the list of Central Florida's best kept secrets in my opinion. A little off the beaten track, it's totally worth the drive for the real, fresh food you just can't get anywhere else. Though I'm proud to say I've been "in on the secret" for four years now, word on the street must be spreading because they have emerged as constant presence on the annual "best-of" lists that cover the city's best eats. Recently, Orlando Magazine's annual survey of the city's best restaurants named them #1 in Best Sandwich, Neighborhood Restaurant, and Best Take-Out and a still-impressive #2 in the Best Deli category for 2014. The numbers (or people) don't lie: That Deli is that good. 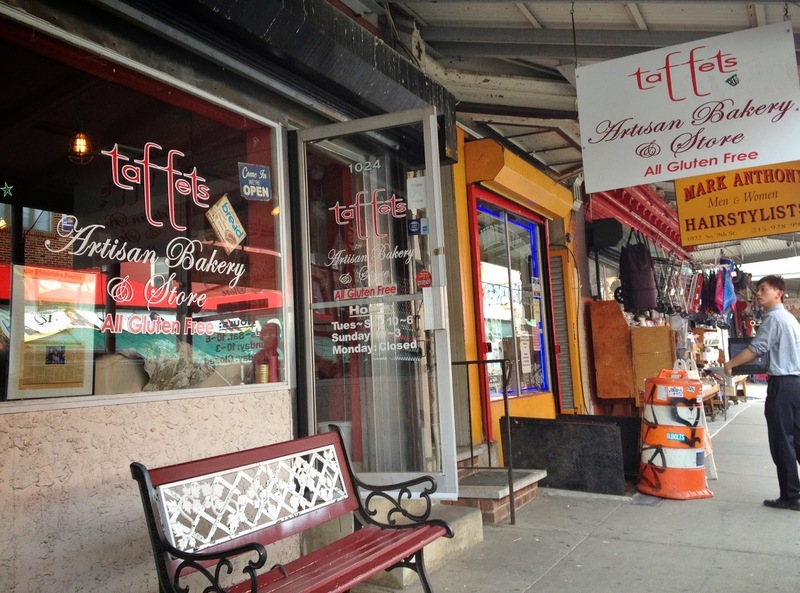 Located in Philadelphia's Italian market, Taffets Bakery is quite simply heaven on Earth for those seeking gluten-free bread. Even for those who can eat wheat without trouble, I highly recommend this wonderful treat of a bakery whose breads are hands down the best I've ever had since going gluten-free. What's so great about Taffets is that they are 100% dedicated to the gluten-free community and their handcrafted baked goods are rarities in a gluten free market filled with single-flavor sandwich breads, buns, and rolls. Taffets pulls out all the stops and brings back artisan breads such as focaccia, challah, and sourdough boule. Although I can't eat "traditional bread" Taffets allows me to be a full-fledged bread aficionado once more. Uno Chicago Grill is widely-renowned for their legendary role as the creators of deep dish (Chicago-style) pizza. Founded in 1943 in Chicago, Uno's has since expanded into 140 locations in 24 states, DC, and around the world. While they haven't quite figured out how to bring deep dish pies to a gluten-free audience, they earn points in my book for offering an expansive gluten free menu that encompasses a wide array of options such as seafood, steaks, pizzas, burgers (on Udi's buns) as well as little luxuries like dessert. However, they had me sold at "gluten-free pizza." After all, I'm always on the lookout for a great gluten-free pizza. As a soon-to-be "poor college student" I have come to realize that my days with little luxuries such as an elaborate home-cooked meal are now numbered. While I have high hopes that I'll be able to work things out with the dining staff at my new school, I know that there will definitely be times when I need a quick and easy meal. For most teens, the obvious quick fix is ramen noodles, which are a cheap, but glutenous choice. 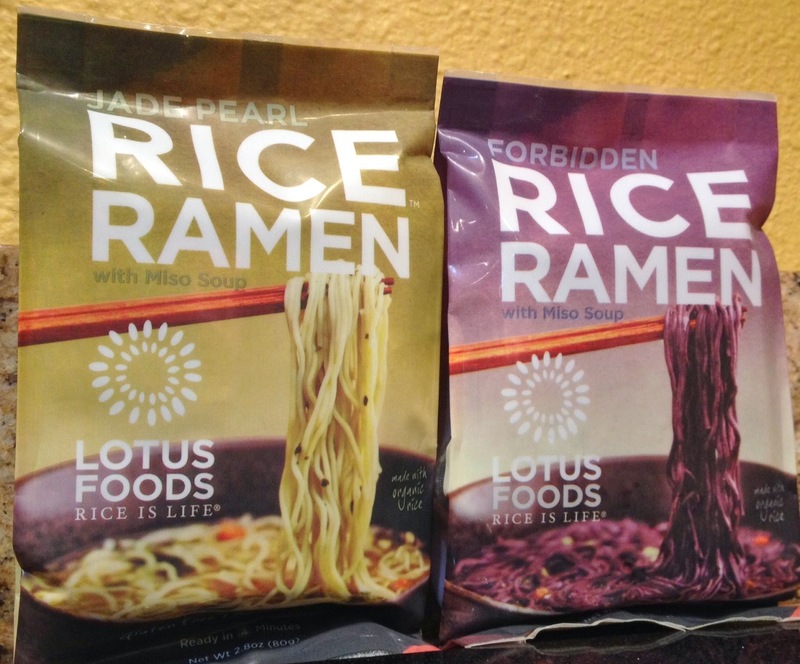 However, thanks to Lotus Foods, ramen is back on the table thanks to their miso soup-based ramen noodles. Boasting exotic rice blends, these ramen soups are worlds away from their conventional counterparts. I am excited to share that I will be starting a new e-newsletter for my blog! Designed to be a weekly round-up of all the reviews and posts on my blog, the e-newsletter will be a great way to stay connected and never miss a post. For more information and to sign up, check out the new E-Newsletter tab at the top of the page. Check it out! 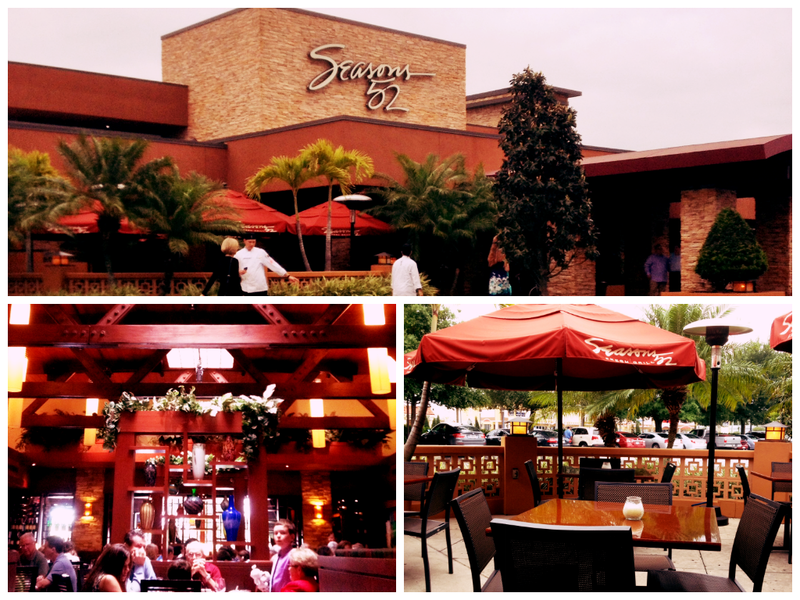 Founded in Orlando, Seasons 52 is a restaurant that delivers fresh fare in a great setting. It has been a longtime favorite of my family's for any special occasion- birthdays, graduations, or when company is in town. A dinner or lunch at Seasons 52 means we are celebrating something, which makes eating here such a treat. However, what makes eating here such a treat is that they really take the time to accommodate guests with a wide range of special diets and food allergies. Like most who are gluten-free, we look upon the glutenous foods we once ate as poison to our bodies now. We know better than to sneak the smallest crumb, but there come occasions when the fantasy of "how it used to be" creep back in. For me, one weakness I have always had in the bread department is bagels. 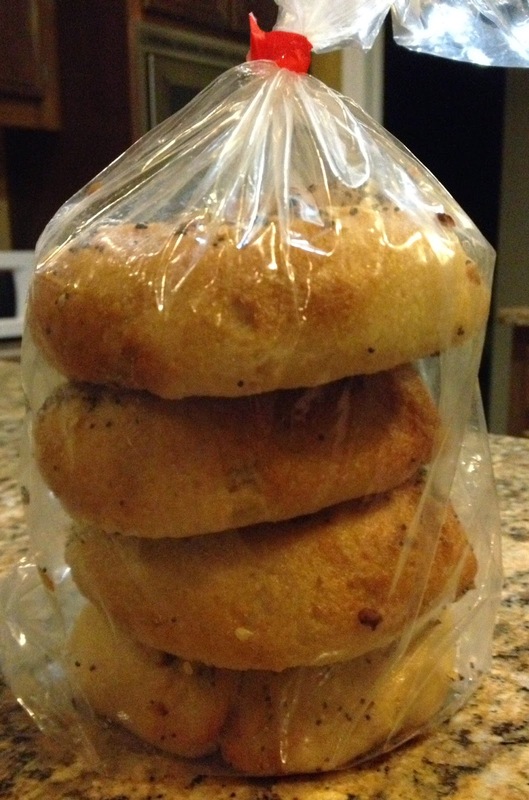 While trying many different flavors and brands of gluten-free bagels, I never could find one that perfectly emulated the combination of chewy, dense and crunchy when toasted that make bagels so satisfying. More often than not, gluten-free bagels are simply buns with holes in the center, which defeats the point of this breakfast staple if you ask me. Now, thanks to the hard work and dedication from Sweet Note Bakery, gluten-free bagel lovers can rejoice in the fact that authentic New York-style bagels are back on the menu in a big way. Tuscan Pizza (formerly Red Brick Pizza) in Altamonte Springs is home to a very special milestone in my gluten-free journey. They were the first restaurant where I was able to order and eat a gluten-free pizza alongside my family. For most newcomers to the diet, building up the confidence to visit a restaurant and trust that the food is safe to eat is a big hurdle, but one that I'm thankful to have cleared with flying colors. 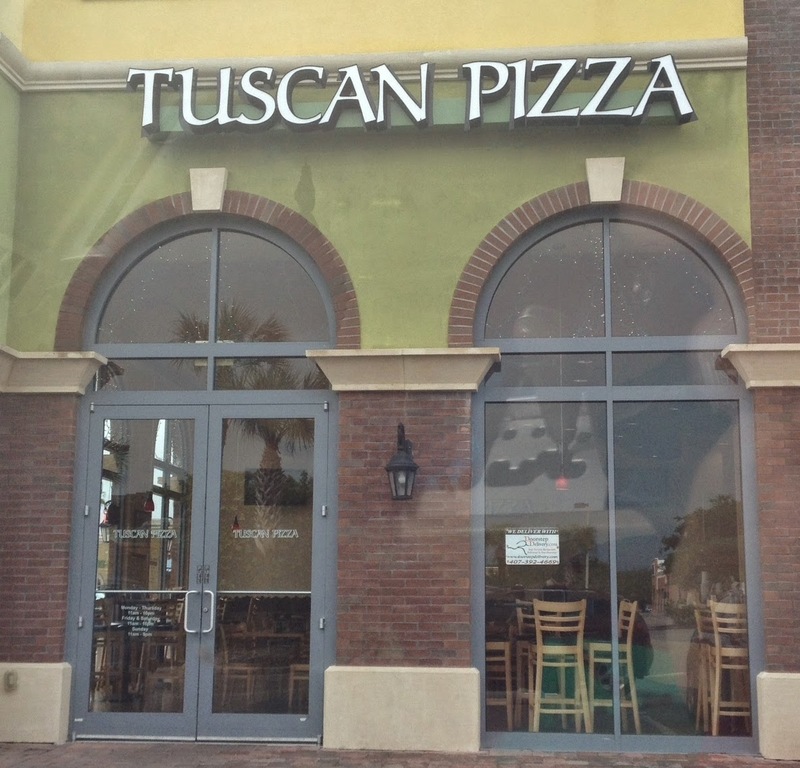 Tuscan delivers a safe and satisfying gluten-free pizza, but its the community atmosphere and convenient location that have made it a staple on my list of local eats. Transitioning to a new name brought some new ingredients and menu items, but the staff and protocols have remained. An from what I hear, business is booming thanks to the steady stream of customers seeking gluten-free pizzas. 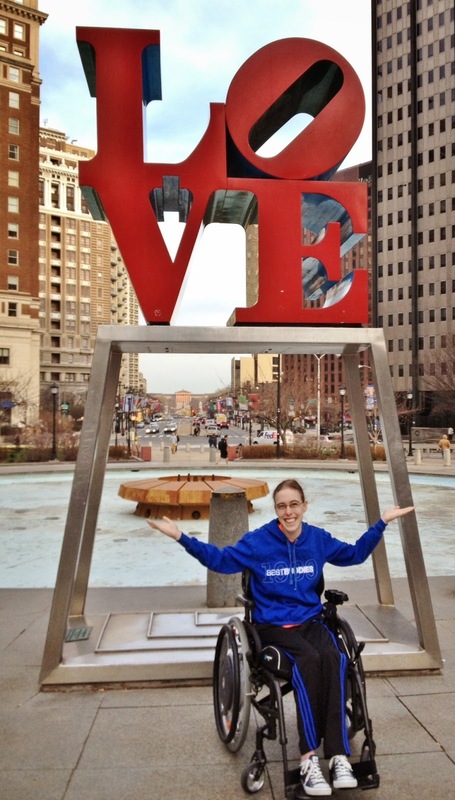 Although I was in Philadelphia all of about 48 hours, I made a point of maximizing my time in the "city of brotherly love." Which, as became quite evident though my adventures, really should be called the "city of gluten free love." The sheer abundance and availability of gluten free options was overwhelming at first. 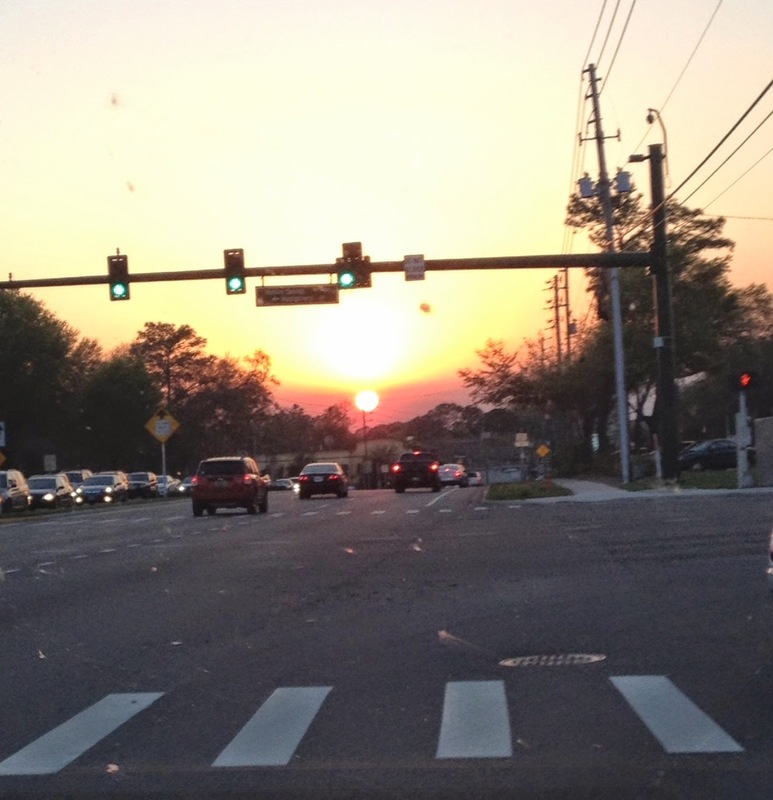 Although there are a plethora of gluten free friendly restaurants in Orlando, its a little more intimidating when entering a new city and unaware of what's reliably safe, yet still good. Luckily enough, I was able to ask Michael from Gluten Free Philly about his recommendations at the Gluten-Free Living Conference a couple last weekend here in Orlando. Armed with a list of must-do experiences, I entered the city exhilarated and ready to explore wherever it took me. Because I was able to see and experience so many restaurants and cafes, I have to split my coverage of the city into multiple posts. To cram it all into one post would be excessively long to read and write. This post covers the quick-dining options I found in the city. Although I am based in Orlando nowadays, I like to spotlight my gluten free finds when I travel out of the Central Florida area. Although they may seem out of the way at times, I believe the more that is written and shared about gluten free restaurants and travel, the more we all benefit. While most of my out-of-town posts are compilations of multiple reviews at once, Giorgio on Pine in Philadelphia deserves a post all to its own for its notable focus on being gluten free friendly. In fact, there's not gluten containing bread in the kitchen (there is glutenous pasta though). 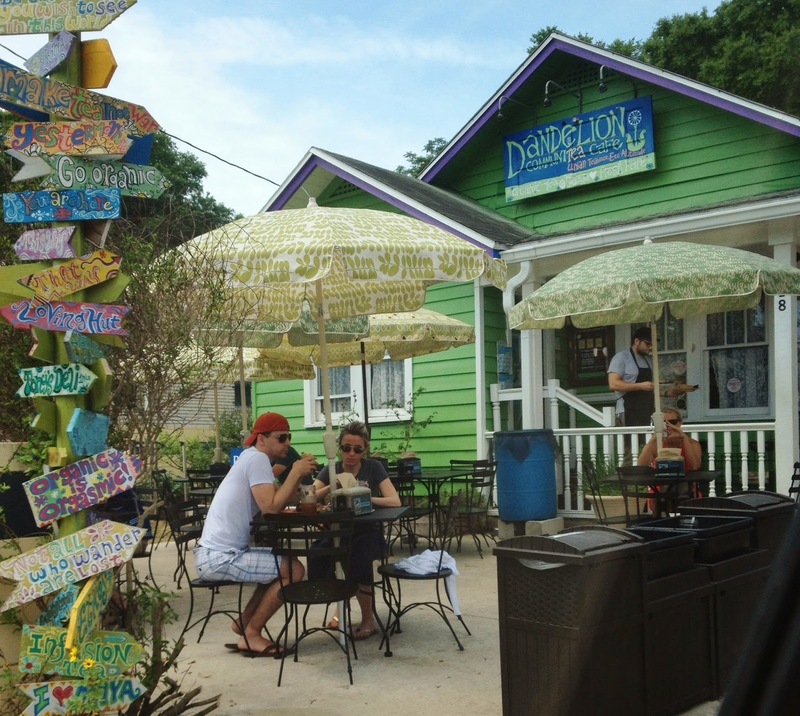 When it comes to eating out on a special diet, Dandelion Communitea Cafe is an Orlando gem. Able to accommodate a variety of allergies to wheat, soy, egg, dairy, etc as well as vegetarians, vegans and "flexitarians" alike, I'm hard pressed to think of anyone who couldn't get a meal here. What I love about this unique cafe is their totally unique setting and attitude and their emphasis on fresh, locally grown, healthy food. One can't help but feel a little bit better about oneself after spending time in such an upbeat, inspiring setting. Far from the hustle and bustle of downtown and the tourist district, it's a serene escape into another world. 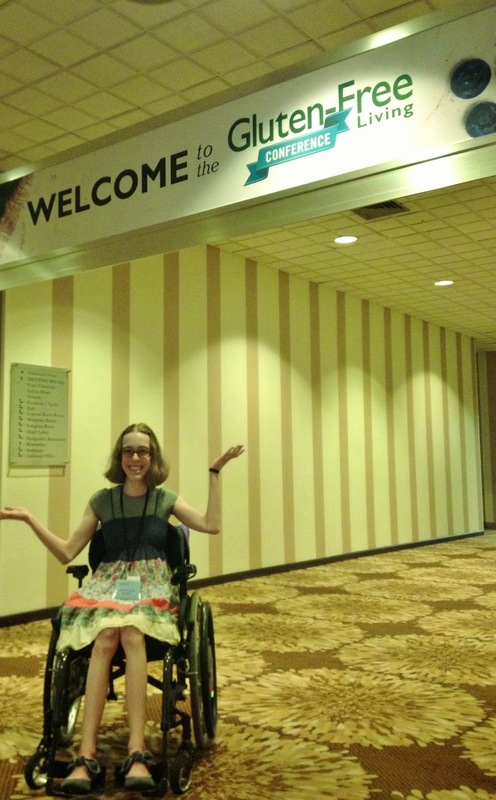 After a fantastic Blogger U session at the Gluten-Free Living Conference (you can read my recap here), I couldn't wait to come the following day to explore more of what the conference had to offer. The weekend kicked the conference into full gear with guest speakers, special events, and a vendor expo. I ended up spending the entire day Saturday at the expo. Although I had every intention to drop into one of the many sessions held, especially the keynote from Dr. Alessio Fasano, I never managed to make it beyond the show floor. What I did miss in those sessions, I made up for in really absorbing the goings-on of the expo. What was so amazing about this expo was that it brought together so many wonderful brands and companies under one roof. It was hard to believe that each of the 50+ vendors were 100% gluten free or dedicated to making the world a safer place for those of us who are. I saw old favorites, fell in love with new ones, and altogether had a great experience sampling products, conversing with representatives, and swapping stories with fellow attendees. With Eating Out Without celebrating its one month birthday tomorrow, I knew that signing up for the Blogger U seminars at the Gluten-Free Living Conference would be a big leap for me. Although I would consider myself an established blogger (see my other blog here), I'm brand new to the whole foodie thing and how to self-promote and elevate my blog beyond simple posts. I would be sharing the same spaces with bloggers who've been at it long before I had even heard the term "gluten free." However, I knew that an opportunity this good in my hometown was too great an opportunity to pass up. I've been familiar with Larry's Giant Subs long before gluten intolerance entered my life. Half of my extended family lives up in North Carolina, and no childhood road trip to the "tar heel state" was ever complete without a stop at the Larry's Giant Subs in Brunswick, GA. As goofy as it sounds, our whole family eagerly awaited and relished every bite. Little did I know that the restaurant would play a big role in my post-gluten free days- it would be one of the first restaurants where I could get a real sub sandwich. For those who cannot eat gluten or dairy, opportunities to order sub sandwiches are few and far between. Unfortunately, the Subways, Quiznos, and Publix Delis of the world do not provide opportunities for us to partake in this staple of the American diet. 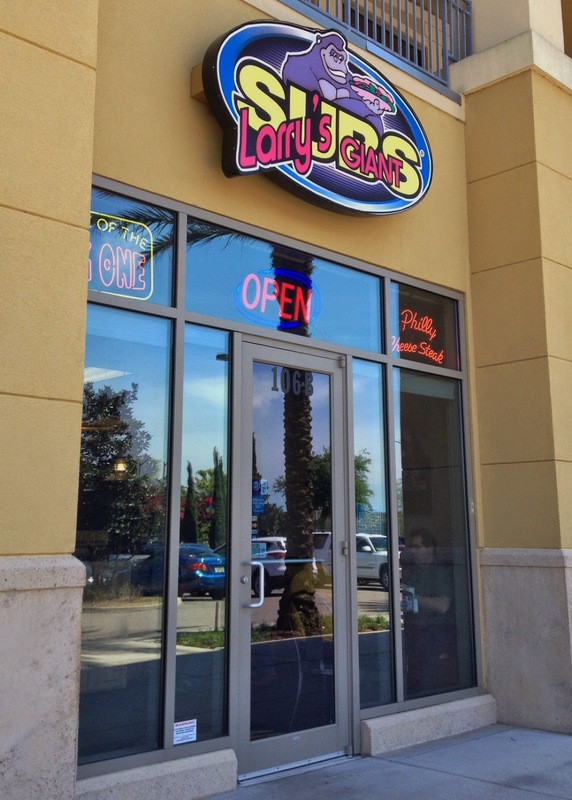 Now, thanks to Larry's subs are (literally) back on the table. Birthdays are great opportunities to gather friends and family and celebrate with great food. I recently celebrated my own, and in doing so realized there's plenty of perks out there for gluten and dairy free dining opportunities. In fact, there's probably a thousand different opportunities for discounts on one's birthday. I am going to share my favorites I've found.